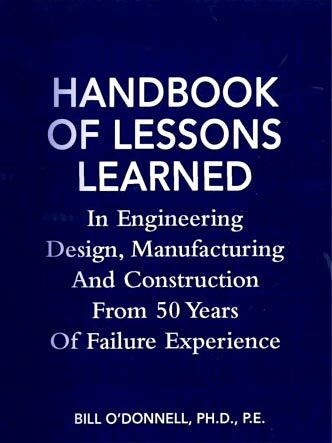 Dr. William O’Donnell, PhD, PE – founder and President of O’Donnell Consulting Engineers, Inc., began his professional career at Westinghouse Bettis Atomic Power Laboratory, where he helped develop components for the nuclear Navy under Admiral Rickover. He has extensive professional experience in the analysis of components including fatigue and fracture safety evaluations and failure analysis. He has developed methods for evaluating fatigue, stress corrosion cracking and safety margins of components, and is an expert in complex failure modes which occur under cyclic loads. For over 12 years, he was the Chairman of the Subgroup of Fatigue Strength of the ASME Boiler and Pressure Vessel Code. The Pittsburgh Section of the ASME named him “Engineer of the Year” in 1988, and he is listed in the Engineers Joint Council “Engineers of Distinction” and Marquis “Who’s Who in the World”. See a List of Publications by him and other members of our team. He has received the National Pi Tau Sigma Award for “Outstanding Achievement in Mechanical Engineering” as well as the ASME literature award for “Best Conference Technical Paper” in 1973 and again in 1988. He was also awarded the National PVP Medal by the Pressure Vessel and Piping Division of the ASME in 1994, as well as the Carnegie Mellon University Distinguished Achievement Award in 2004.